Fun Minecraft Challenge No6 - Continue the Story Game! Another Fun Minecraft Challenge, number six in the series. 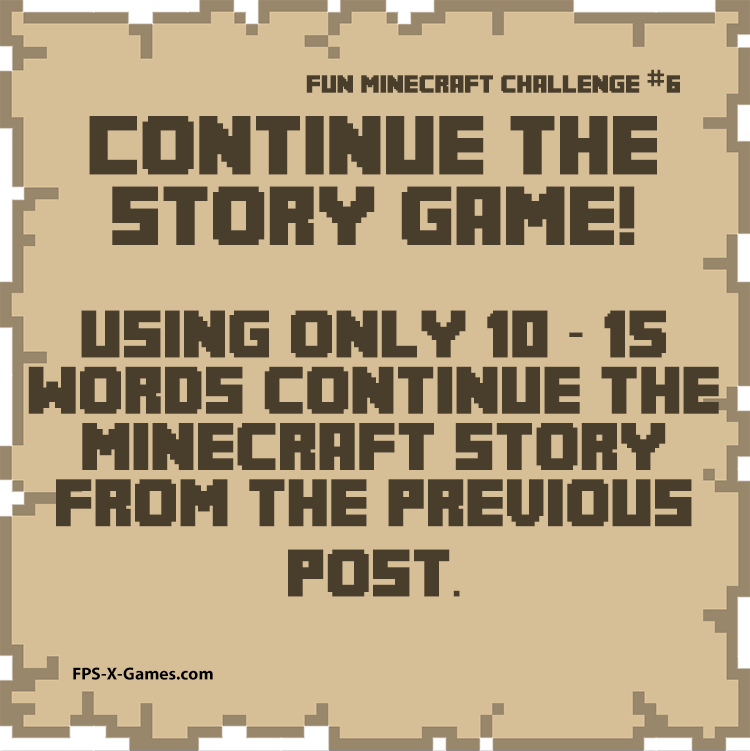 Continue the story game, using 10 15 words continue the Minecraft story from the previous post!